Whether it's a wedding, a Christening or another event, there are some clothes that we want to keep forever. To keep them looking great, you will need a wedding gown or Christening box to keep them secure. 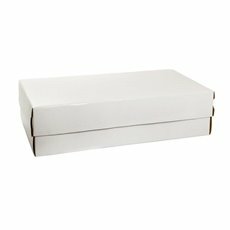 Our Cardboard wedding boxes and cardboard Christening storage boxes are conveniently flat packed to save on storage space and are quickly and easily assembled. Wedding dresses are best stored in the wedding gown box with acid-free tissue paper. 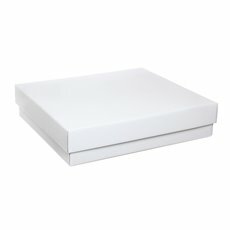 Koch & Co's wedding gown and christening boxes are the best way to keep your beloved garments safe. 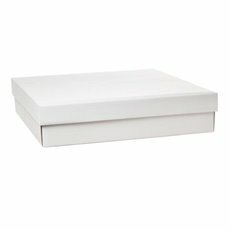 Each of our wedding and christening boxes are white and are available in gloss options for added sheen. Finish by using a ribbon to add decoration and extra security. 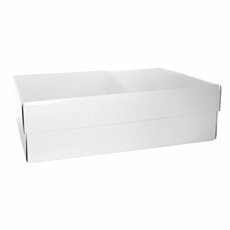 All our boxes come with lids and they range in length from 45cm to 72cm. We stock a range of wedding and christening decorations to make the special day all it can be, and more.